Lounge on the pristine shores of Sanibel Island with your very own timeshare accommodations at the Hurricane House Resort. Find luxurious units at affordable prices today with SellMyTimeshareNow.com. What’s My Hurricane House Resort Timeshare Worth? 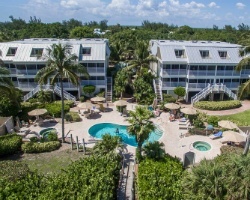 Positioned on the beautiful Gulf shores of Sanibel Island, the Hurricane House Resort provides unique accommodations in a paradise that was made for relaxation. Just steps from the sand and the sea, the Hurricane House features an island-inspired design and a variety of on-site amenities offered to maximize your vacation experience, like a heated outdoor swimming pool and a whirlpool spa. The resort also puts you close to the island's best attractions, like the J.N. Darling National Wildlife Refuge. The resort's accommodations consist of luxurious two bedroom suites that will guarantee everyone in your group the space they need to be comfortable. Ideal for up to six people, you'll find your suite equipped with modern furnishings and desirable amenities, such as full kitchens, laundry machines, and screened balconies. Perfect for anyone looking to escape the everyday grind and relax in a tropical destination, the rooms at the Hurricane House will keep you comfortable from the first night of your stay to the last. 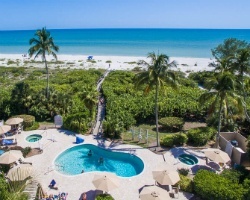 Are you ready to guarantee your very own Sanibel Island accommodations? Fill out the form on this page to learn more about the Hurricane House Resort, or call a representative directly at 1-877-815-4227 for more information. 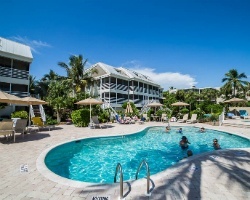 When you buy a timeshare resale at the Hurricane House Resort, you won't just be guaranteeing yourself years of great trips to Sanibel Island—you'll be getting those solutions for thousands less than what others pay. Timeshare resales are sold on the secondary market by current timeshare owners, not the resort itself. This means you can find the same great ownership accommodations for prices up to 70% lower than retail costs, allowing you to save big on your Sanibel trips. Resales are commonly available in the form of deeded weeks and HGVC points spread throughout Hilton's Silver, Gold, and Platinum seasons, giving you a variety of options to choose from when browsing for timeshare resales. You'll be able to find the unit size, price point, and ownership interval that works best for you without having to settle. Plus, a timeshare resale at the resort could also be your ticket into the Hilton Grand Vacations Club. 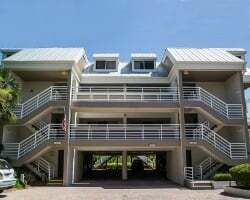 The Hurricane House Florida resort is affiliated with the Hilton Grand Vacations Club. As such, timeshare resale buyers at the resort will have immediate access to some of the club's best and most exclusive benefits. 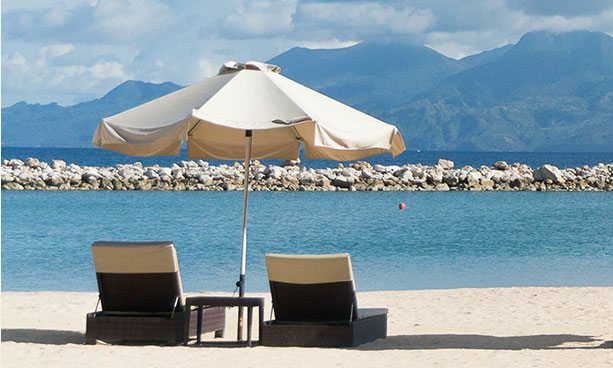 While resale owners can't enroll at the Elite level in the club, you can still take advantage of other perks, like converting HGVC points to HHonors rewards, banking or borrowing your points for more flexible vacations, and even the opportunity to book accommodations at other Hilton resorts. The Hurricane House Resort is also affiliated with RCI, the world's largest timeshare exchange company. In addition to your timeshare resale, you can purchase a separate RCI membership to trade your Sanibel Island accommodations for stays at one of 7,000 other RCI-affiliated resorts across the globe. Simply deposit your unit at the Hurricane House into RCI's network, and choose from a list of comparable resorts in other destinations. Timeshare exchange allows you to truly maximize the use of your resale ownership, as it could be your ticket to other beautiful vacation destinations. Stay at the Hurricane House Resort, and you'll be treated to a property full of desirable on-site amenities and convenient services. Take a dip in the resort's outdoor swimming pool, whirlpool spa, or in the ocean just beyond the resort's grounds. Play a round of tennis using the resort's courts, or try your luck at fishing in the warm Gulf waters. Around the resort, the entire island of Sanibel is yours to discover. Outdoors enthusiasts will love the J.N. Darling Wildlife Refuge, which features one of the most unique environments in the United States. The beaches of Sanibel Island are famous for turning up all sorts of shells, including the ultra-rare Junonia shell. Golfers will love the beautiful courses at Sanctuary Golf Club or Sanibel Island Golf Club, while those with their sea legs will relish the chance to embark on a deep sea fishing excursion. Already Own at Hurricane House Resort?